Building occupants and homeowners are becoming increasingly aware of the adverse health implications of toxic mold contamination and bacteria. 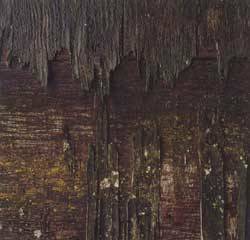 Much like issues associated with asbestos and lead paint contamination, neglect is a primary cause of fungal and bacteriological hazards. Building owners, facility managers and insurance companies that neglect to address or remediate these hazards are increasingly facing potential liabilities. Are molds and bacteria something to always be alarmed about? Not really. Molds and fungi are present everywhere -- indoors and outdoors, in the air and on most common surfaces. There are more than 100,000 known species of mold. At least 1,000 species of mold are common in the United States. Many moldsare vital to our everyday life and are used in the production of everything from baked goods to penicillin. Mold and bacteria can form on most common building surfaces and products (ceiling tiles, drywall, insulation, etc.) if they remain wet for 24 to 48 hours. Prolonged exposure to moisture (pipe leaks, construction defects, flooding, etc.) will allow them to reproduce until they become a serious threat to human health. Documented health problems related to toxic mold and bacteria exposure include allergic responses, headaches, rashes, asthma, eye irritation, respiratory illnesses, nausea and fever. The answer is if you have had water intrusion into the building, you can have mold growth begin within 36-48 hours. That can be from a leaky or broken pipe/hose, ground water(basement), leaky roofs or windows, shower/tub enclosures without the right caulking. That is most typical. It is also possible to build mold into the structure during the construction process. The home in Texas that got a lot of press was built on top of a spring or some other water source so that the concrete basement continually had a high moisture content. Also we find that wood that is used, if left in the rain can bring in mold growth. "We Go Where The Mold Is"
We specialize in structural and HVAC mold (or microbial) decontamination of commercial office buildings, homes, schools and hospitals. CEI focuses on successful cleaning of microbially-contaminated HVAC systems, and interior structures, such as walls, ceilings and floors. We realize these structures vary in level of contamination and the occupant's sensitivity levels are different; hence, our technicians provide personal attention to determine the appropriate remediation strategy before work in your building. With our background and experience in HVAC mechanical system hygiene, CEI specializes in locating and cleaning mold contamination in ductwork. Visible mold growth inside ducts of on other components of your heating and cooling system is often a source of contamination that other remediation companies miss. Inspect behind walls with boroscopes, robotic camers, etc. When you choose to work with CEI, you choose to work with professionals—people who are going to do the job right the first time, saving you time and money. Our technicians are thoroughly trained and take pride in their work. CEI crews are equipped with a variety of HEPA filtered vacuums and hegative air machines. Precautions taken before the remediation help us guarantee that our services will be effective. Service technicians carefully build containment structures, in effect, sealing off the contaminated area. This process prevents further spread of the contamination throughout the rest of the structure. Other nationally-approved steps in our remediation process include: HEPA vacuuming, disinfecting, sealing and documenting all project activities to make sure the job is done right. 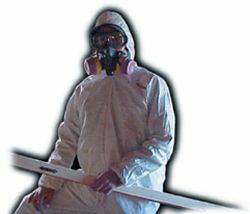 CEI takes mold remediation seriously and requires that a Certified Industrial Hygienist be on hand for every major project. They help determine what the initial scope of work will be and perform the clearance tests at all stages of the remediation to insure that the job is complete and the area is safe for occupants to return. All of CEI's technicians are in the field everyday performing mold remediation projects, and CEI's president, Ira Finger, oversees all jobs himself for the highest quality assurance. In addition, if the mold contamination reaches beyond our scope of services, we immediately access our network of nationally-renown indoor air quality professionals to provide you with the service you need. With the health of building and home occupants on the line, we can afford to do nothing less. Safety for both your building occupants and our employees is primary. Meticulous care is taken to prevent contamination from entering the atmosphere. We work during the off hours when your building is at its lowest occupancy. Furniture and equipment in the work area are covered. The work area is thoroughly cleaned every night so there are "Zero Complaints" the next morning. We follow all OSHA regulations and are trained for "permit required confined space" conditions. 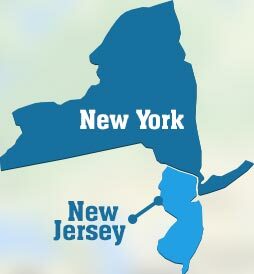 If you need mold remediation services in New York or New Jersey areas, please contact us today at 973-975-4464 to learn more!